Kas kas / Cashews -- 1 tsp / 5 nos. Shallot -- 1 medium no. Soak the basmati rice for haalf an hour .Finely grind the items given in the seperate table and transfer to a bowl. Heat a heavy bottomed vessel / pan with ghee and oil . Do the seasoning with the cumin seeds and add the onions. Scald until it changes colour. Followed by GG paste and scald well again for 1 minute over medium flame. Drop in the slit opened green chillies and the curry leaves. Stir this mixture for few minutes. Add the tomatoes and mix well. Add the salt .Cook this mixture until the tomaatoes are fully cooked. Now throw in all the veggie's and saute for 2 to 3 miutes. Now sprinkle little bit of water and cover the pan. Let the veggie's cook over medium low flame until they are almost cooked. Now add the wet masala and mix with the veggie's. Again saute this mixture for 3 minutes or until u get rid of the raw smell of the onion paste ( i.e. wet masla paste ) .. Now add the garam masla powder and mix that too. .Once u done with that, add the soaked rice and fry with the masala well enuf for 2 minutes. Finally add the 2 cups of water and combine well. Cook the rice covered over medium low flame for 13 minutes. Mix everything together and finely add the curd and slightly whisk it . Serve with biriyani ,Pulao or roti's..
Reduce / Omit the slit opened green chilly if u think it's way too spicy..
Wow coriander is my fav greeny. This rice looks awesome and goes easily as my lunch dish. அருமையான புலாவ்+பச்சடி!! பார்க்கும் போதே சாப்பிடத் தோனுது.. Very inviting and delicious pulao !!! awesome clicks..
very flavorful rice...looks very delish! Rice looks delicious and colorful. Great that you have added coriander. Flavourful rice and delicious too. coriander veggie pulav looks delicious. Nice color. wow...looks too good..never tried before..
You mad me really hungry now, Cilantro rice n raita both look fabulous!! delicious combo.. i love the vibrant color!! absolutely delicious..raitha is just so beautiful.. Thanks for sending to the event! 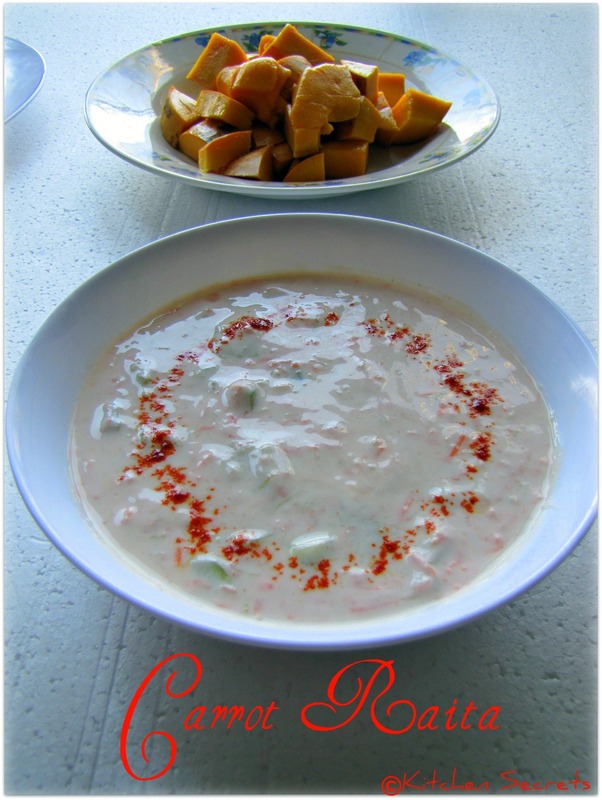 Pulao and raita looks delicious ! 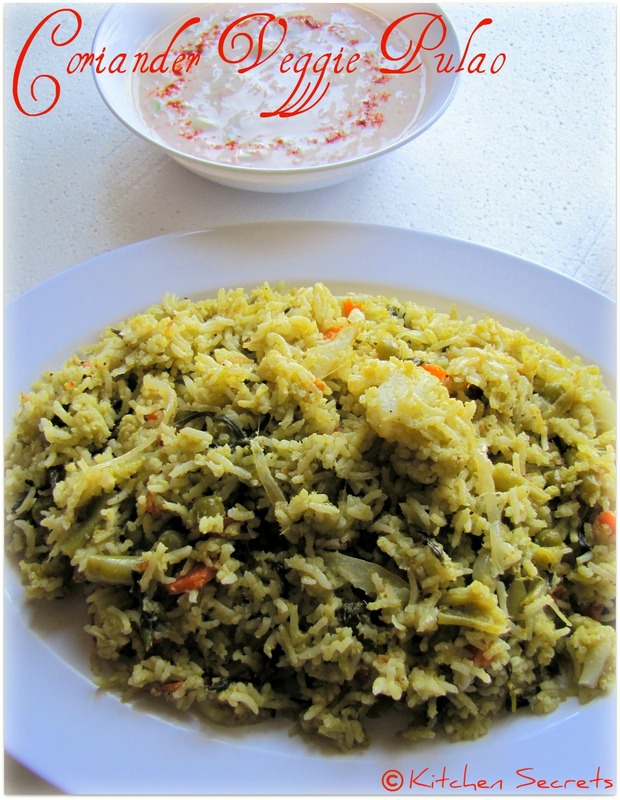 Udane veetuku varalama, truly very inviting pulao with great looking raita tempts me a lot.. Very inviting and pulav looks so delicious !! @ Priya, U r always welcome anytime dear.. 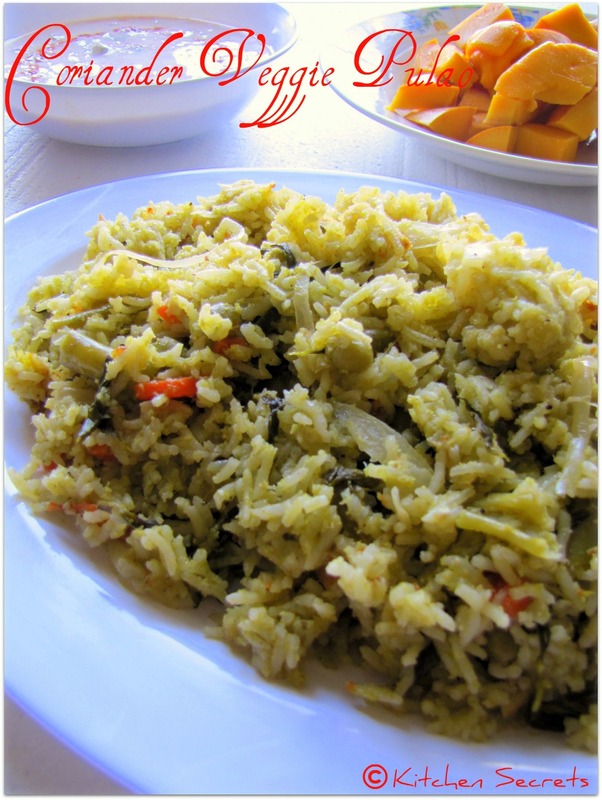 Very healthy and flavorful pulao! Delicious rice and lovely spread...luks yum. A healthy & flavorful pulao!! !